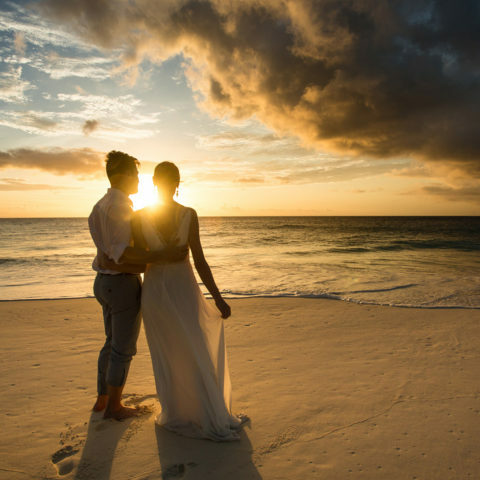 North Island is the ultimate beach wedding destination and the perfect place in which to pledge (or renew) your vows to each other. Luxury, privacy and exclusivity combined with outstanding natural beauty ensure a joyous day you will never forget. 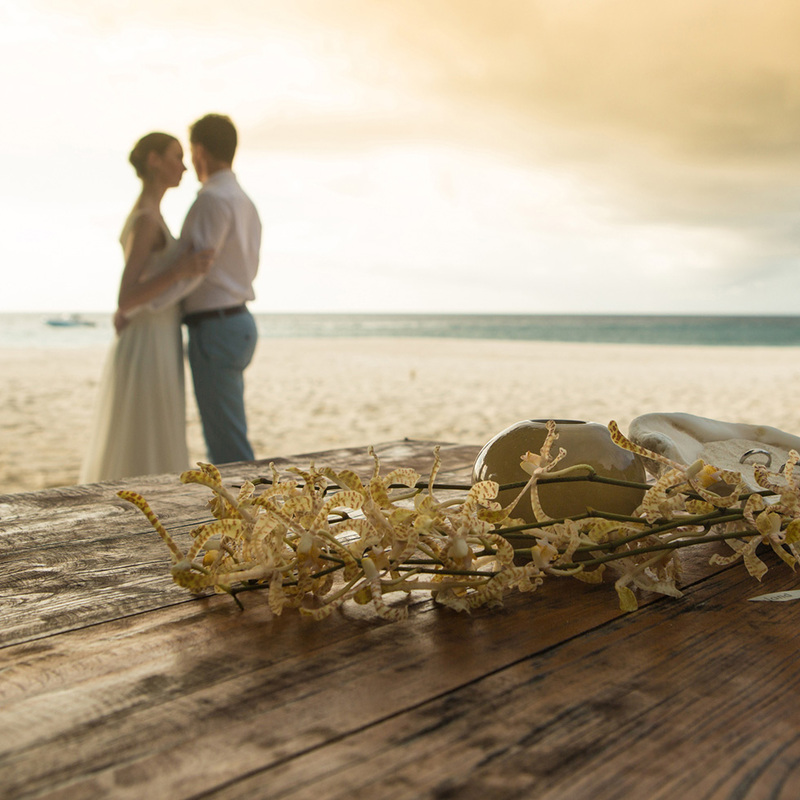 Pristine powder-white beaches form an idyllic setting for an elegantly simple, barefoot wedding ceremony as you celebrate in the company of your closest friends and family – or just the two of you. The celebrations can then continue after the ceremony based on your unique wishes for your special day, whether a cocktail evening at West Beach Sunset Bar with a few close friends, a romantic dinner for two in the Piazza or the Library – or for the ultimate after-party, you can make a sole-use booking of the entire Island. In keeping with our flexible philosophy, we do not offer a “Wedding Package” but prefer to handle and arrange each couple’s request individually and personally, thus tailor-making specific requirements. Let us take care of all your wedding planning requirements, and prepare to fall in love with North Island.